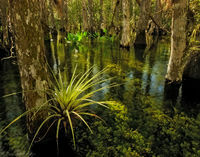 In Big Cypress, many of the best images willl not be taken from dry ground. 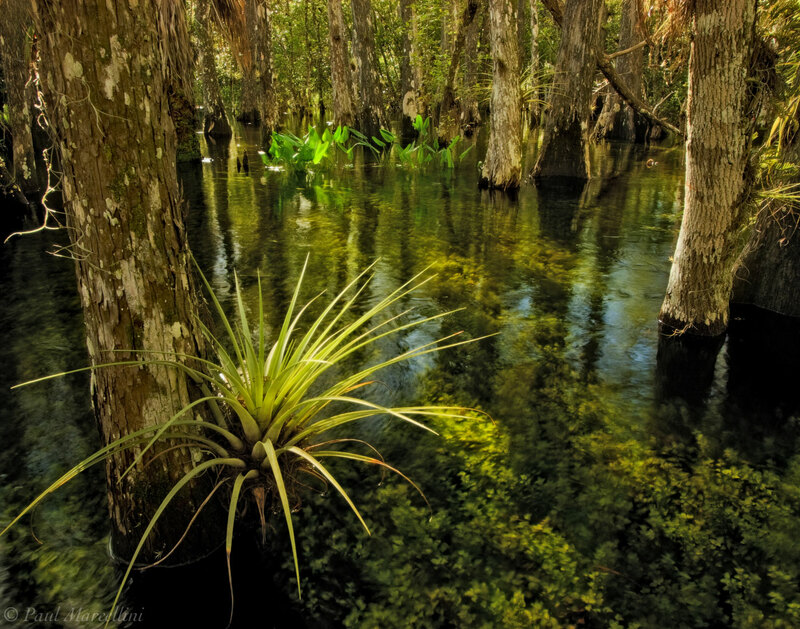 This would be one of them, taken in the middle of the "swamp". Afternoon light streamed in and highlighted the pickeral weed in the backround and the Tillandsia in the foreground. Photo © copyright by Paul Marcellini.